“We need lighter processes”, etc, etc. Does any of these phrases sound familiar? How do you resolve the dilemma of having processes that comply with a particular model or standard, and at the same time keep them fit? I would be happy to hear your experience. Meanwhile I will share mine with you. Lots of process improvement consultants will tell you that implementing or improving CMMI, SPICE or ISO should be done process by process, namely focussing on a particular group of practices (activities, procedures) and deciding how they should look like. Implement the changes and stepping to the next process. I was also doing so years ago. Although this is not too bad, it is a local, partial improvement that not necessarily has to demonstrate a positive improvement of the entire workflow. In fact, this is one of the main reasons for loading processes with too much extra work. Adding some extra work to a single process is not a problem. However, summing up the extra work for all the processes turns to an obstacle for performing the work well and quickly. Therefore I follow a different approach, a Lean one. First I try to understand the entire workflow from beginning to end, both value-producing steps and information management ones. 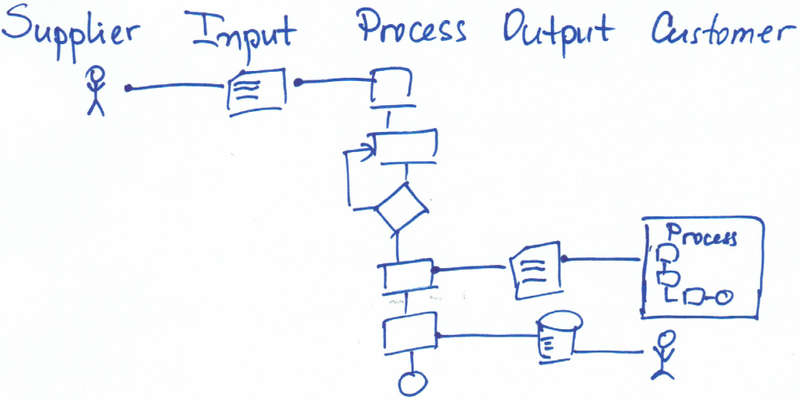 Together with the team of people from the company, for each group of practices, we draw a SIPOC diagram showing the steps to follow (P), the input (I) necessary for executing them and the outcome (O) obtained. We check that the input is available, either from another process or a supplier (S) and that the output is necessary for another process or a stakeholder, customer (C). This ensures that the processes produce only needed outcomes, i.e. no over-processing. By focussing on and performing only work that is required, we save effort of the staff, other resources and delivery time. In addition, it leads to higher efficiency as employees are concentrated on value adding tasks that the customer is willing to get and pay for. Moreover, people are not frustrated with developing an obsolete outcome. 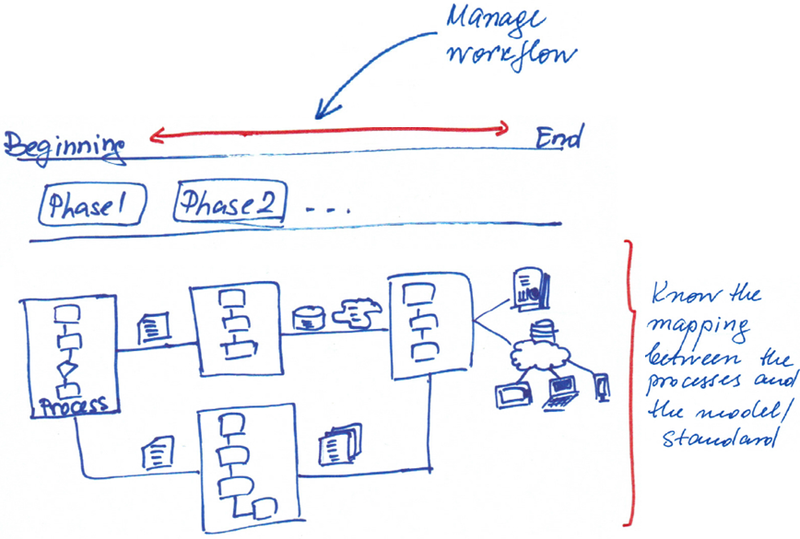 The other important check is making sure that all processes involved in the workflow are perfectly integrated, i.e. the very initial input flows smoothly through them, being gradually transformed into a final outcome. Improving the workflow consists of making the transformation paths shorter (less transportation and motion) and faster (less waiting). Last, but not least, to make sure that we do not produce obsolete paper, we fill in the following table that summarizes the inputs and outcomes for each process. Only, if an outcome is a paper document, we include the name of the respective template. Location is the place or the system where either the document or the data is stored. What we thoroughly check at this point is that there is no duplicate information among the documents and the systems used. Also, where it makes sense, we merge the documents to prevent having too many pieces of documentation spread across different places. Undoubtedly, automation is always helpful. The meaningful indicators of whether we have achieved real improvement are, of course, (1) the opinion of team who uses the processes and (2) the performance of the entire workflow. Therefore I carefully listen to them two. How do you see it? What is your experience?